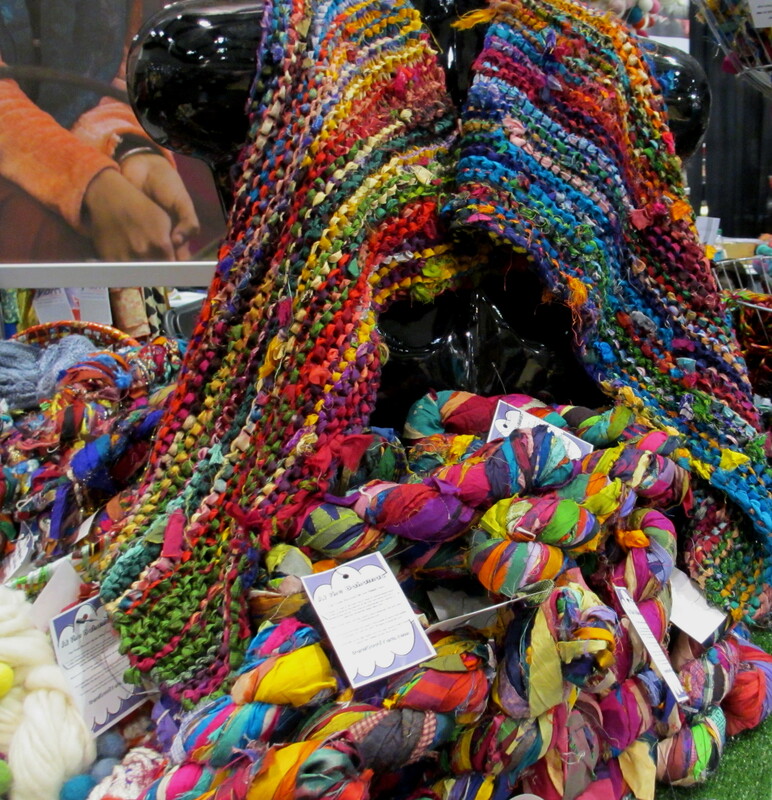 At Stitches West this year, I ended up attending a Market Session with a fellow knitter. The two of us are familiar with knitting short rows, but wanted to learn a little more about Japanese short row shaping. The session did answer our questions and we plan on getting together again to explore machine knitting. 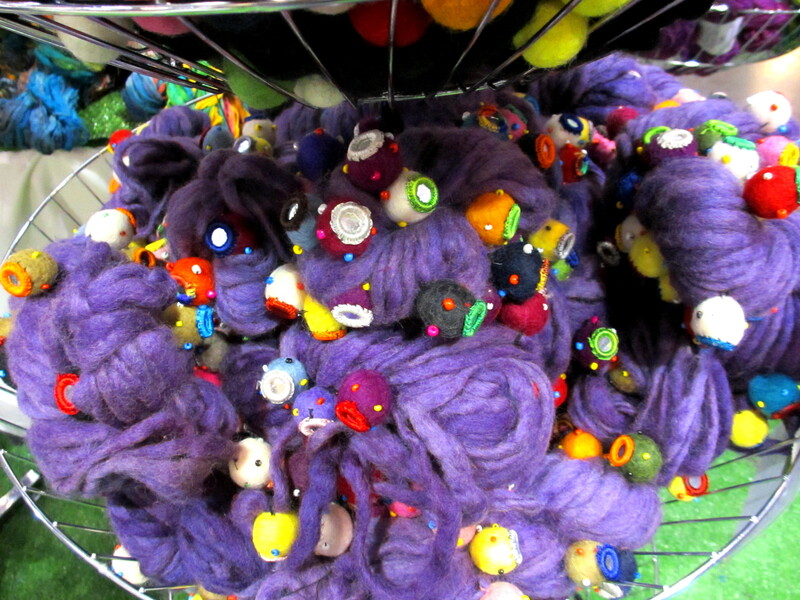 Upon leaving the session, I accidentally discovered Darn Good Yarn http://www.DarnGoodYarn.com. A situation separated by the present transported me to a world saturated with color, print and texture. 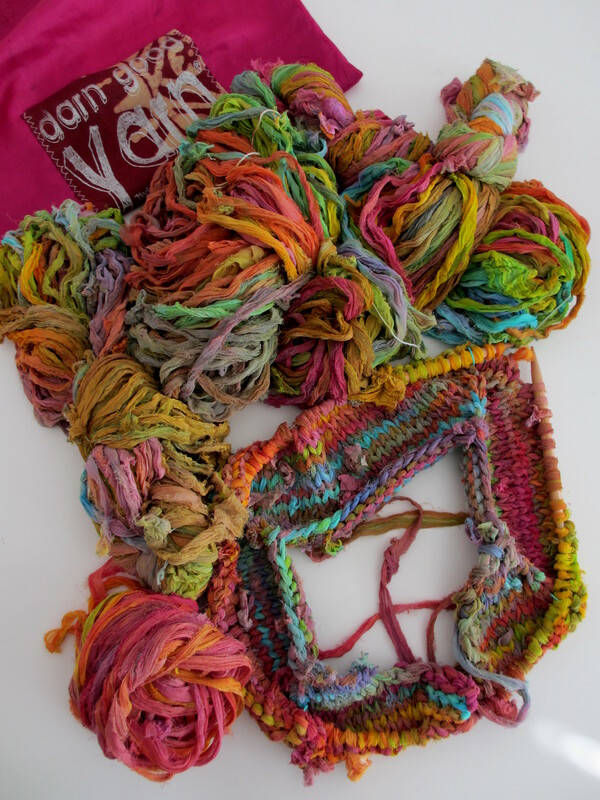 Darn Good Yarn is “made from reclaimed sari silk at a co-op in India that empowers women.” This endeavor supports 300 families, plus 25,000 lbs of waste is saved each year. 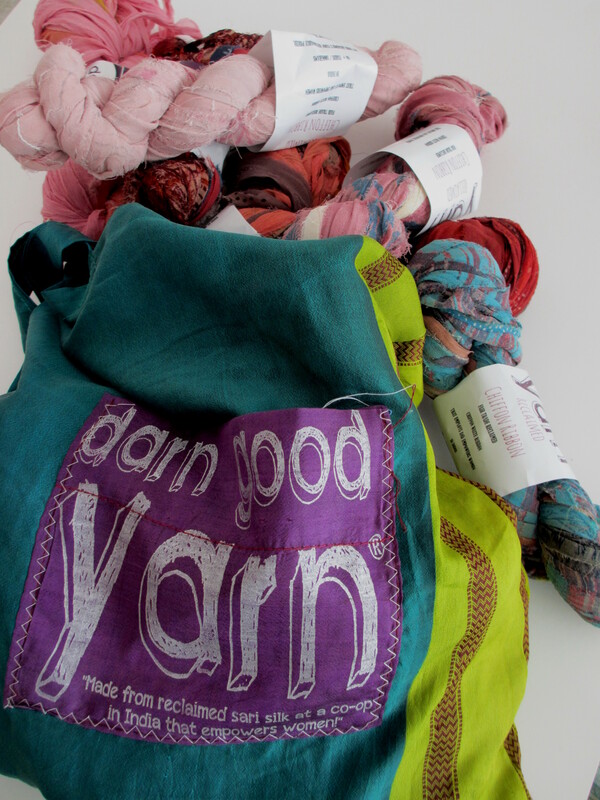 Nicole, Founder, Maggie, Vice-President and Jessica, Community Manager are helpful, willing to answer questions, knowledgeable about the product, free w/purchase pattern support for the yarn, and are enthusiastic about their endeavor. 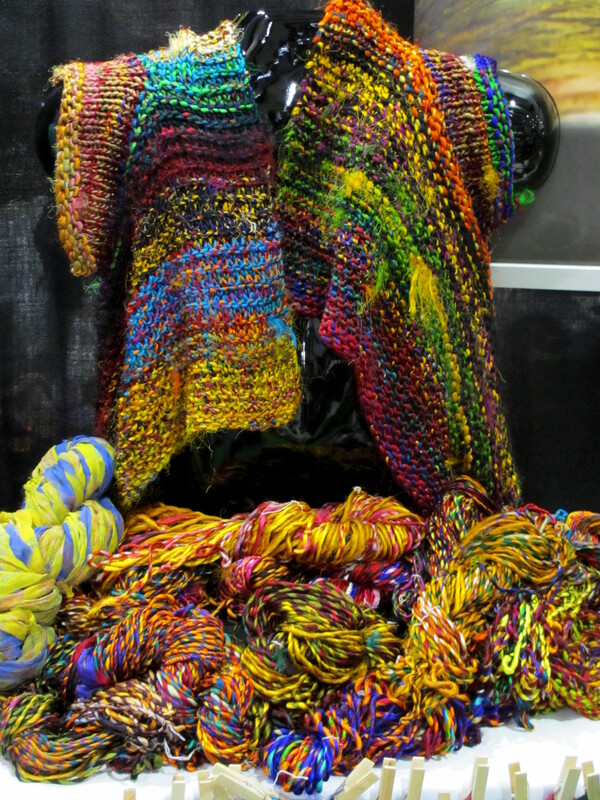 I’ve started knitting a shrug, and plan on knitting “Adventure Cardi” designed by Denae Merrill with reclaimed chiffon.